pr. medarbejder med et fast abonnement. Dansk og engelsk telefonsupport til dine medarbejdere. 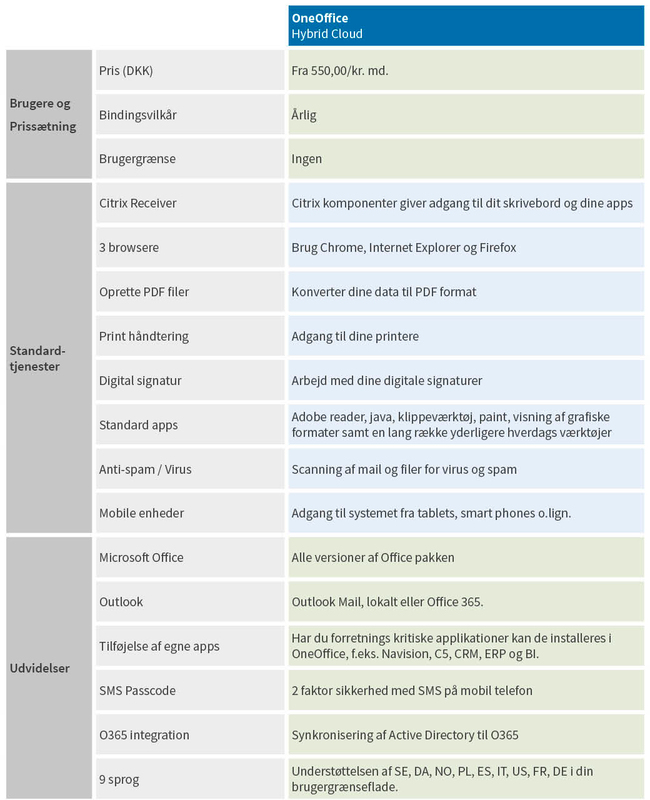 Hvis uheldet er ude kan du altid ringe til OneOffice for hjælp og vejledning 24/7. Hvor kan OneOffice hjælpe din virksomhed ? Office 365 ProPlus, Project Online Professional, and Visio Pro for Office 365? Online Professional, and Visio Pro for Office 365 The main outcome of SCA for Office 365 ProPlus, Project Online Professional, and Visio Pro for Office 365 is that it gives customers choice and flexibility. SCA allows customers to take advantage of existing Office 365 ProPlus, Project Online Professional, and Visio Pro for Office 365 licensing investments when deploying to the cloud. Customers are able to make a deployment choice between on-premises and any authorized Service Providers’ shared datacenter to help lower cloud infrastructure costs by letting OneOffice use your existing Office 365 ProPlus, Project Online Professional, and Visio Pro for Office 365 licenses.